Are you hosting a gathering with a gluten-free guest in attendance? 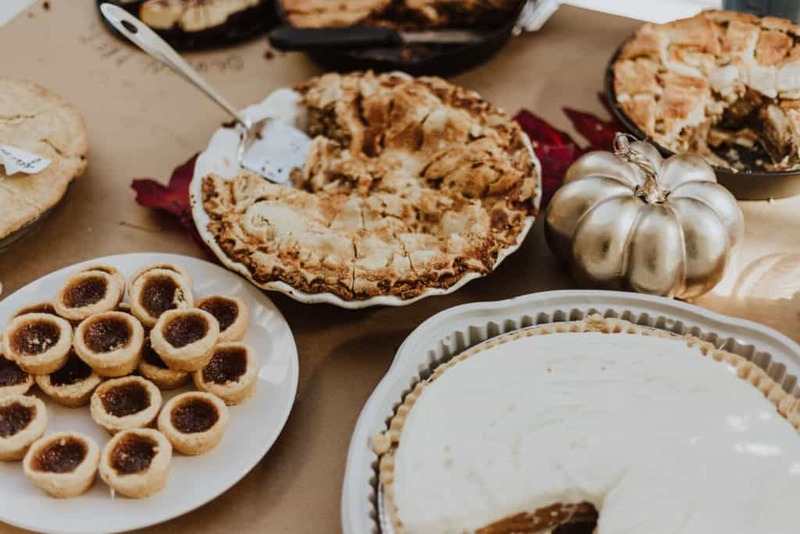 I’ve put together some helpful information on how to prepare a gluten-free meal that is not only stress-free for you but also safe for your guest. It’s not easy hosting someone with a food restriction, especially if you want them to be able to eat! It’s not your normal routine to think about cooking without a certain ingredient, particularly one as pervasive as gluten. You may not even know where to begin! With a little extra planning and thought, you can definitely prepare a meal that not only your gluten-free guest can enjoy, but all of the other guests as well. Side note: Don’t let this article intimidate you. It is a lot of information. You don’t have to memorize the entire list of unsafe foods or remember every little detail. Read through the information and then come back to this article as needed for a point of reference! Click here to jump to the free printable shopping guide. Click here to jump to the list of unsafe foods. Click here to jump to the info about cross-contamination. By no means does every dish you serve have to be entirely gluten-free! Focus on providing a main dish and a side or two that are gluten-free. A dessert would be an extra special bonus! Planning the meal is probably the hardest part. When planning, try not to get stuck in your head all of the things you can’t serve. The best advice I can give is, take it easy on yourself! Plan a meal that is naturally gluten free, think meat/potato/vegetable, instead of trying to find substitutes for pasta and bread heavy dishes. While you can make and find substitutes, it will be easier on you and your wallet to stick to whole, unprocessed foods as much as possible. On the other hand, if you have a favorite recipe you would like to use, take it out and look at it. Are there any gluten-containing ingredients in it? If so, is there an easy swap? If yes, great! If not or it seems too daunting to figure out, just pick a different recipe. Sometimes it’s just not worth it to try and make something work! Take for example that old classic, Hashbrown Casserole. The recipe calls for cream soup, which is not gluten-free. If you still wanted to make that, you could swap the cream soup for gluten-free cream soup pretty easily. So exactly what foods do you need to avoid? I have a pretty big list of items to watch out for. Again, don’t be intimidated by it. Just refer back as needed! Most grocery stores have gluten-free options in the ‘organic’ aisle. Most grocery stores have gluten-free options by the regular pastas or the ‘organic’ aisle. Most grocery stores have gluten-free mixes in both the ‘organic’ aisle or regular baking aisle. Check the freezer case for prepared items, usually in an ‘organic’ or ‘healthy options’ section. Popular ‘party food’ cereals like Kellogg’s Rice Krispies Cereal, Kellogg’s Corn Flakes, and Kellogg’s Crispix cereal all contain malt flavoring which is not gluten free. Some generic brands of these cereals are ok to use. Check the label to see if it says gluten-free. Corn and Rice Chex are gluten-free. Malt is made from barley, which is not gluten-free. All other vinegars are safe to use. Many use flour as a thickener. Some stores carry gluten-free condensed soups and gravy mixes. You can find gluten-free wraps, but they’re expensive and quality is hit and miss. Schar brand Gluten-free crostini broken into pieces. Use Tamari or Liquid Aminos instead. Regular oats are not gluten-free due to contamination in the fields where they grow. If you need oats, they must be Certified Gluten-free. Ask your guest if they can even tolerate oats. Offer Wine, Hard Ciders, or cocktails made with Distilled Liquors. Sometimes have flour or malt flavoring. For example: Dean’s French Onion Dip – has brewer’s yeast – which is not gluten-free. HelluvaGood French Onion Dip is a better choice. A big trend right now, but be wary of these items. Some of these grains are derivatives of wheat. Be wary of seasoned or sauced versions which often times contain wheat flour. Get the plain versions, instead of the seasoned or extra crispy. Can contain wheat protein (gluten). Can often be contaminated from shared scoops. Buy fresh. When you dip, swipe it on bread, and then scrape the knife back on the jar, all of those crumbs go right into the jar, contaminating it. One main takeaway here is, which we will get into more later… read labels. The other thing you may have realized… anything that is processed is going to have a larger risk of containing gluten. If you make from scratch or buy foods that are processed as little as possible, it will be much easier for you and safer for your guest. either buy Gluten-free buns or ask your guest to bring their own. Salads: Serve croutons on the side for other guests. Check the label for frozen – go for the standard versions, not seasoned or extra crispy. My local Hy-Vee has excellent pre-made options in the freezer case. Check your grocery store! Most grocery stores have gluten-free mixes for everything from cookies and cakes to brownies. I love and trust Pamela’s Brand for mixes. 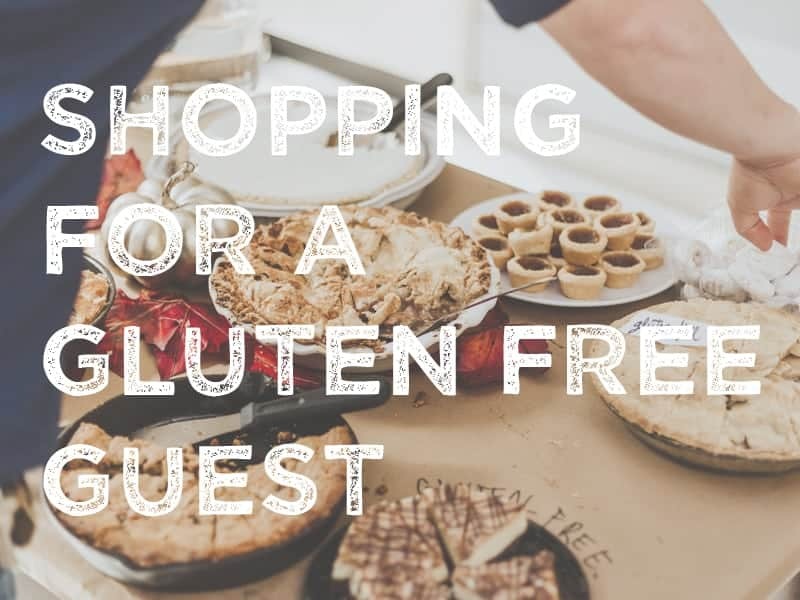 See if you have a local dedicated gluten-free bakery, skip regular bakeries offering gluten-free options. I made you a handy shopping guide to take with you to the store! You can download and print it or save it to your photos on your phone! Then refer to it as needed. Click here to save an image to your phone! PRO TIP: Read EVERY label. Seriously. Just get it in your head that for this one trip you need to plan some extra time at the store so you can carefully look at labels. It’s the only way to ensure you don’t accidentally grab an item you shouldn’t. Trust me. It’s so easy to grab the wrong thing and there’s nothing worse than having to make a trip back to the store! If you see this it means the manufacturer has taken extra steps to ensure their products meet a certain standard. These items are most likely safe to use! You should still read the rest of the label but items with that symbol are going to be your best bet! Also, if the words “Gluten Free” are anywhere on the package… they should be safe. There is not enough regulation on this though, so still… read the label. 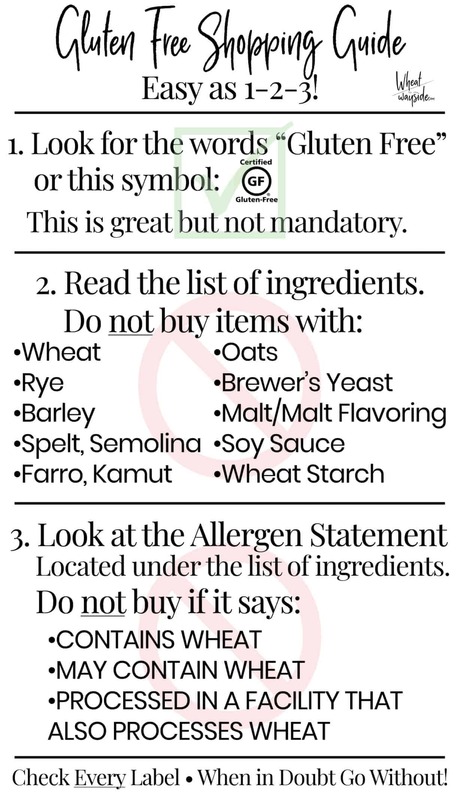 It is not mandatory that every item you buy has that label on it or says “gluten-free”! As long as you read the label & ingredients by following the 3 steps listed on my handy printable, you can have confidence you’re picking items that are safe! So what are the 3 steps to shopping for gluten-free? Look for the words gluten-free or the certified gluten-free symbol. If the item has this, great! That’s most likely a good choice! PRO TIP: When in doubt, go without! That’s it! If you follow steps 1-3, you can feel confident that you bought safe items. Now, you’ve done all this work to plan for a meal that is safe for your guest and you’ve bought all of those ingredients, the last part is ensuring that all of your hard work doesn’t go to waste through cross-contamination! You might be thinking: What? Why do I have to worry about that?! Here’s the thing, even a crumb (a crumb) of a gluten-containing item can make a celiac sick. 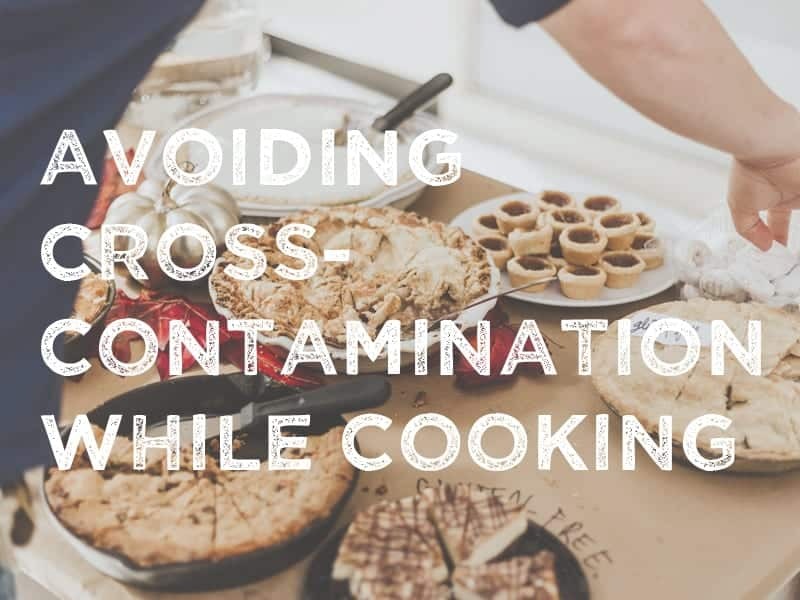 So yes, you have to think about cross-contamination and avoid it. First, make sure everything you cook with is thoroughly washed since you probably don’t have dedicated gluten-free utensils and pans. While you’re at it, wipe down those counters, too. While cooking, never share utensils, cutting boards, or cooking surfaces with anything containing gluten/flour with something that is gluten-free. This includes pots & pans, spoons for stirring, or baking sheets. Don’t use the same knife & cutting board to cut regular buns/bread and then cut gluten-free buns/bread. Never cook gluten containing items and then gluten-free items in the same water or frying oil. Never put gluten-containing items in shared containers or on shared platters with gluten-free items. Speaking of shared containers, don’t put the Thanksgiving stuffing inside the Turkey! If making traditional stuffing, bake it in a separate dish. Flour gets everywhere and can be airborne for even 24 hours. Keep this in mind when baking and be sure to clean counters and surfaces. It’s best not to leave food sitting out where flour dust can settle on food your guest might eat. Don’t toast anything for this guest in your toaster. Your toaster is filled with crumbs and therefore, gluten. Condiments are easily contaminated, especially anything in a jar like Peanut Butter, Butter, and Mayonaise, use a fresh container for if you need these items for your meal. a surface that will come into contact with the gluten-free food. But, what’s the biggest, most important piece of advice?… Ask your guest for help! Likely your guest will be more than happy and relieved to talk with you about the menu planning, shopping, or cooking process. They are your best resource! They can offer help and tips, or even bring a dish or part of a dish that is safe for them to eat! I am always more than happy to bring my own buns, tortillas, or a safe dish to pass to parties. 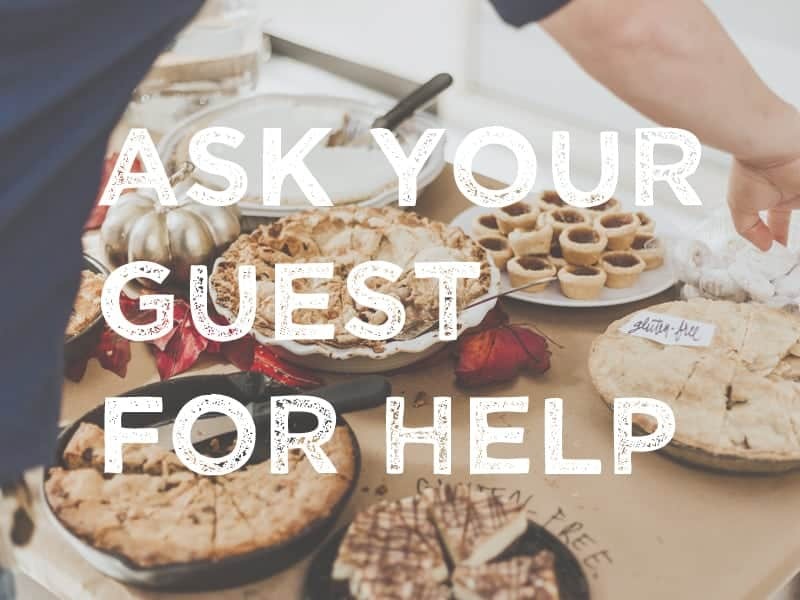 Just let the guest know ahead of time what you’re serving so they can offer to help or be prepared to bring something safe for themselves to eat. Trust me. There is no bigger relief to me than knowing what I’m getting into at a gathering. If you, as the host, and the guest in question have open lines of communication, you can both be prepared and be set at ease that everything will be safe. You probably will never hear about it if your guest ends up sick but you do not want that to happen on your watch. So your best bet… communication! PRO TIP: Keep packaging handy. Sometimes we celiacs just like to see with our own eyes and know for sure that something is safe. It’s not that we don’t trust you, we just don’t trust anyone but ourselves. If you made it this far… kudos to you! You are an awesome host! Your gluten-free guest will appreciate all of your efforts to provide them a safe meal! Remember if this seems daunting to you, your guest lives like this everyday, for every meal! If they can do it, so can you! If you ever need help, contact me here or on any of my social media channels with a comment or direct message. Or like I said above, ask your guest directly! They will be more than happy to help you sort it all out! Read more about Celiac disease, here and here. That’s only for recipes! But thanks!